Use when seaming pond liners. And for rolling seams to get air bubbles out. 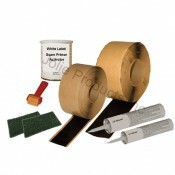 Oval hardwood roller for smooth results Easy to grip plastic handle Inexpensive and gets the job done!